If Picasso had been a collegiette, he would’ve absolutely been sending in applications to the colleges on this list. Much more than paintbrushes, pirouettes and plays, these ten schools go beyond standard art programs, focusing intensely on individual talent and development while exposing students to unique opportunities for creative exploration. Located in cities and towns that are overflowing with artistic culture, these schools produce some of the country’s most talented artists. If you want to add some artistic flair to your room, be sure to check out IKEA for all of your Back to College needs! 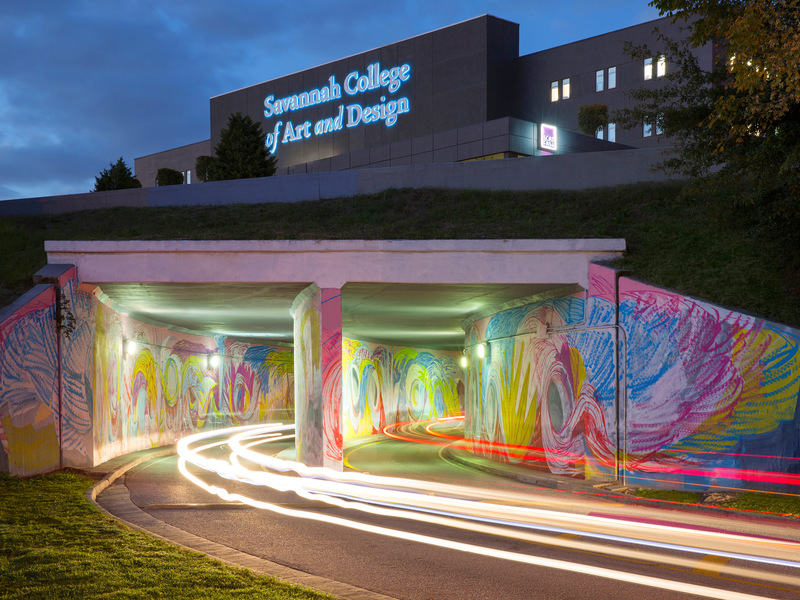 Savannah College of Art and Design offers more specialty options than any other art and design university, with more than 40 programs and more than 70 minors and certificate programs in four different locations. With such a variety of artistic interests, students feed off each other’s passions. “Savannah is starting to become the ‘South's Hollywood,’ so students have so many opportunities to be featured or work on films,” says junior Amy Kulp. According to PrepScholar.com, the school has an extensive network, equipping students searching for post-grad jobs with a huge advantage. SCAD alumni stay connected to the college, being featured in on campus galleries or becoming involved in the alumni artistic residency program, Alumni Atelier, a program that commissions graduates to create new material. Once a SCAD student, always a SCAD student. Williams puts the “arts” in liberal arts. Holding one of the largest departments at a school of about 2,000 students, fine art at Williams College demonstrates that strength isn’t always in numbers. The relatively small student body gives art majors an advantage, as they organize and create all of the events and speakers that structure external art department life. They are able to exhibit their work in the Wilde Gallery year round, as well as meet and create alongside graduate students and famous scholars. However, this outstanding program is not limited to visual art. The school is also home to the nation’s oldest continuously running student-run college theatre group, creating and producing their own performances for both the college and its surrounding community. Regarded as one of the top 10 art universities in the United States, Carnegie Mellon’s College of Fine Arts distinguishes itself in its focus on interdisciplinary studies, having established a program that is way ahead of its time. The school emphasizes an experience in which students explore their artistic creativity in conjunction with technological comprehension to strengthen the foundation of their future careers. STUDIO, an on-campus lab, supports study and faculty projects that bring together arts, sciences, technology and culture in the innovation of revolutionary ideas. The Integrative Design, Arts, and Technology Network IDeATe is another program that exhibits this unique focus on interaction between disciplines. IDeATe allows students to pursue a concentration with their degree in one of eight technologically creative industries. Integrating technology with creativity, CMU’s art programs allow its students to experiment with artistic endeavors while gaining skills that are incredibly marketable to current employers. Even if you aren’t an arts student, you can’t deny the artistic character of VCU’s community. “At VCU, it's hard to escape the arts culture,” says rising junior Logan Bogert. Ranked as the best public university art school in the country and the second overall, the 16-building arts program houses 2,705 undergraduates in 15 academic programs. Located in Richmond, VCU sits in the heart of a city that fosters an incredibly active arts culture. “Campus and the whole city of Richmond is filled with unique murals,” says Rachel Gerungan, class of 2016. The school’s da Vinci center also offers students growth through interdisciplinary action, working with undergraduates in other schools at the university to turn their artistic endeavors into business models. Whether you are strolling through an on-campus art gallery or simply through the streets in and around campus, art is all around. One of Fashionista.com’s top ten best colleges in the world and FashionSchools #1 public fashion design school in the country, the Fashion Institute of Technology fosters artistic development and success through three schools: art and design, business and technology and liberal arts. FIT offers 29 undergraduate programs, including unique focuses like cosmetics and fragrance marketing, menswear and toy design. The school often puts on contests to encourage their students to create unique work in a competitive environment, such as a recent fashion challenge to create business attire for disabled women. Displaying the talent and entrepreneurship of the student body, the Style Shop is a completely student-run retail store in the FIT student center, allowing students to experience work in the fashion industry on a smaller scale. To the future Coco Chanels of the world, FIT is for you. As one of the world’s best schools for art and design, the School of the Art Institute in Chicago has produced the most Fulbright scholars the last decade among all art and design schools. Partnered with the best museum in the U.S., as voted by the Huffington Post in 2013, students are exposed to some of the world’s greatest works of art as well as the best modern exhibitions daily, studying, thinking and creating alongside the work of the industry’s greatest. With alumni like Georgia O’Keeffe, Cynthia Rowley and Grant Wood, SAIC sets students up for a robust artistic career. A 12-to-1 student-to-teacher ratio ensures a lot of individual assessment, critique and growth. To ensure that students immerse themselves in the world around them, SAIC requires six credits of off-campus study but it doesn’t say anywhere that this is required, which can include practicing art abroad, in an internship or on a study trip. Combining this real-world experience with everyday studies among some of the world’s most renowned pieces, SAIC will make you more famous than Kanye ever could. What do Bradley Cooper, Tom Ford, Marc Jacobs and Donna Karan all have in common (besides the fact that we worship them)? They make up some of the greats that the New School in New York has produced. Between the New School’s College of Performing Arts and infamous Parsons School of Design (where you originally saw aspiring designers trying to “make it work” on Project Runway), students are always surrounded by new artistic opportunities. Parsons students are exposed to fieldwork from their first days as freshmen, gaining real-world experience and growing their professional networks before they graduate. Students in the drama school engage in a lot of professional development, including individual consultations and showcase opportunities. Whether you have a passion for fashion or shine on stage, the New School is a place for you to thrive. The third best art and design school in the world according to Quartz, RISD is a name that immediately comes to mind when you think “art school.” Shaping the creative minds of famous alumni such as Nicole Miller and Seth MacFarlane, RISD offers 19 majors for its students to pursue an incredibly diverse range of artistic success. During wintersession, an intensive five-week program between semesters, students are able to conduct an in-depth exploration of a variety of topics, allowing students to experiment with new artistic endeavors, from creating video games to digital embroidery. The school’s location is a huge contributor to its artistic opportunities, as Providence is home to a vast amount of art and culture, as well as being a short train ride away from giant metropolitan areas like New York City and Boston. Alumni like Debra Messing, Alexis Bledel, Martin Scorsese and Lady Gaga would agree that this Big Apple artistic hub gives rise to a plethora of insane talent. A huge artistic component of NYU is the Tisch School of Art, which, as the school’s website reads, “is the country’s preeminent center for the study of the performing, cinematic and emerging media arts,” where prospective students endure the most rigorous admission process of all the NYU schools. 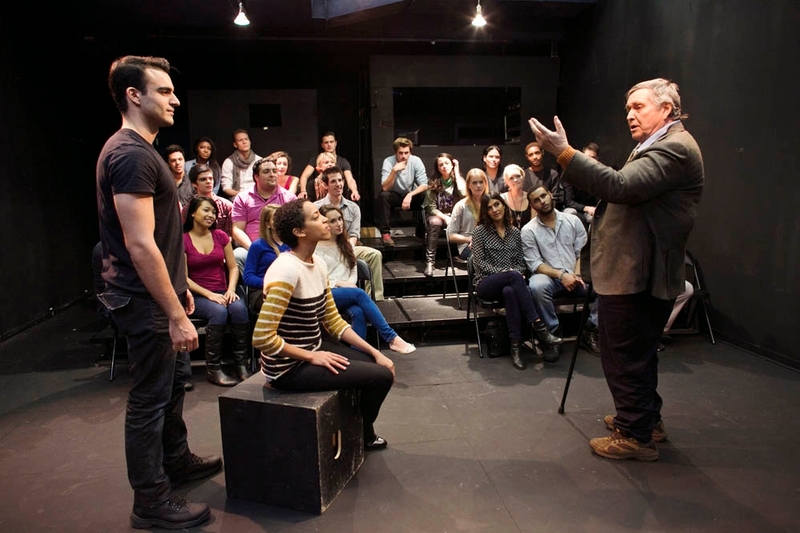 Surrounded by future stars, impressionable faculty and exclusive programs in the city that never sleeps, students at NYU experience artistic immersion unlike that of any other school in the country. Listed by USA Today as the top school to get a fine and studio arts degree, the Pratt Institute gives its students an unparalleled artistic education. The school offers 23 undergraduate majors in various artistic categories, ranging from architecture to digital arts to industrial design. All students must complete a detailed foundation course load before entering specialized fields, ensuring that students are experts in artistic thinking and practice before jumping into more advanced work. Focused on individual artistic development, Pratt holds six-hour studio classes, where students are able to deeply explore personal talents and skills, as well as fight through their own challenges. With alumni like Betsey Johnson and Robert Redford, Pratt without a doubt sets its students up for successful careers. 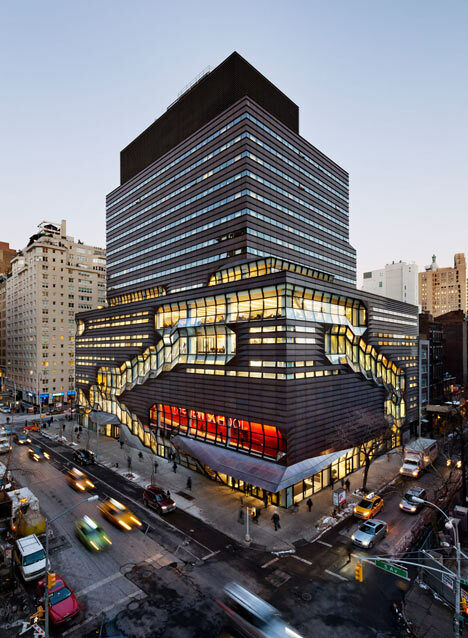 As the website boasts, “Enter an ambitious student from anywhere, exit an artist in New York City,” this school’s location in the creativity-nurturing and artistic hub of NYC allows its students to immerse themselves and grow in an environment that is robust with artistic opportunity.